These yellow flowers were photographed peeping through a layer of the autumn's fallen leaves. The leaves are so dry and crisp, the old veins are visible in them. 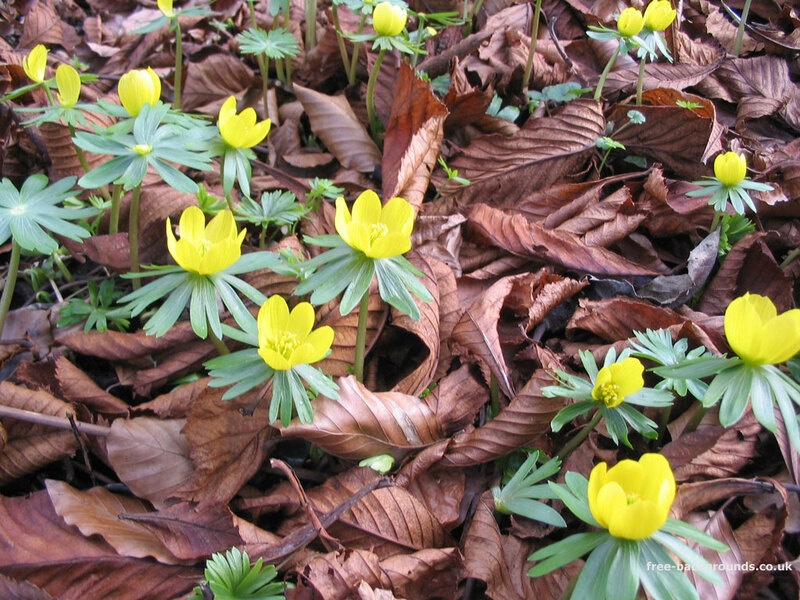 The aconites themselves are strikingly yellow, and their stems and leaves bright green, contrasting starkly with the reddish-brown of the carpet of fallen leaves. 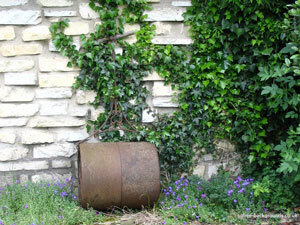 The picture shows the triumph of Spring over a harsh Winter which is now retreating.